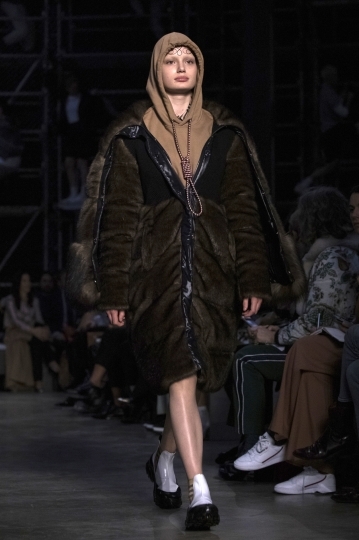 NEW YORK — The chief executive and chief creative officer of luxury fashion powerhouse Burberry have apologized for putting a hoodie with strings tied in the shape of a noose on their London Fashion Week runway. Riccardo Tisci, Burberry's creative director, also apologized, saying "while the design was inspired by a nautical theme, I realize that it was insensitive." 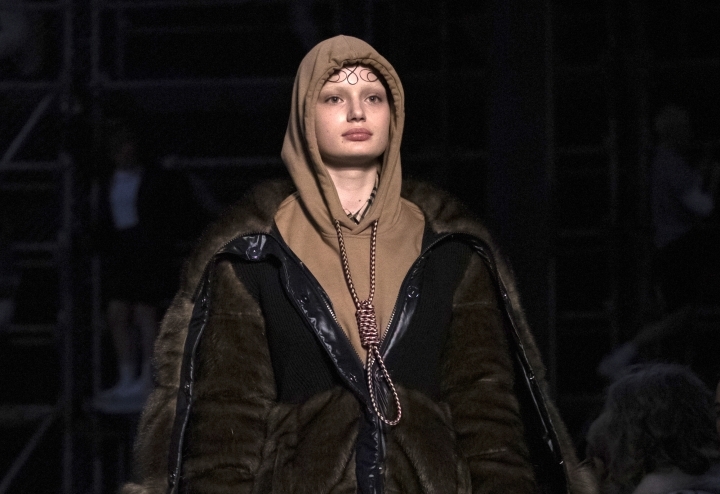 Model Liz Kennedy took to Instagram the day of the show, posting a photo of the hoodie with a long message directed at Burberry and Tisci. She added, "Let's not forget about the horrifying history of lynching either." Her post has prompted dozens of negative social media comments directed at Burberry and Tisci. The collection, called "Tempest," is Tisci's second for the brand. The clothes were a mix of classic, severely tailored ensembles to more trendy street-inspired looks aimed at younger consumers. Kennedy and other critics said the company should have known better. "A massive brand like Burberry who is typically considered commercial and classy should not have overlooked such an obvious resemblance. I left my fitting extremely triggered after seeing this look. Feeling as though I was right back where I was when I was going through an experience with suicide in my family," Kennedy wrote on Instagram. She said she asked to speak to somebody about it and was told to write a letter. "I had a brief conversation with someone but all that it entailed was 'It's fashion. Nobody cares about what's going on in your personal life so just keep it to yourself.'" Gobbetti said he called Kennedy to apologize as soon as he became aware of her concerns on Monday. "The experience Ms. Kennedy describes does not reflect who we are and our values. We will reflect on this, learn from it and put in place all necessary actions to ensure it does not happen again."